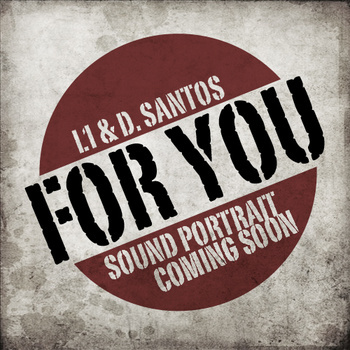 I am very excited to announce that the new single “For You” from my forthcoming EP with Lyrics One entitled (Sound Portrait) is now available for free on my bandcamp page! This song is featuring my good friend Carlos Romo on the chorus! Shout out to our boy Uneak on the artwork too! If you like what you hear, please help us promote this new single!! This is an indie/ grassroots movement and we could us all the help we can get. This project should be released in late August/ early September 2012!! You can hit us up anytime on Twittter at Lyrics One & myself and let us know what you think. Enjoy!! This entry was posted in Albums, Beats by dsantos. Bookmark the permalink.